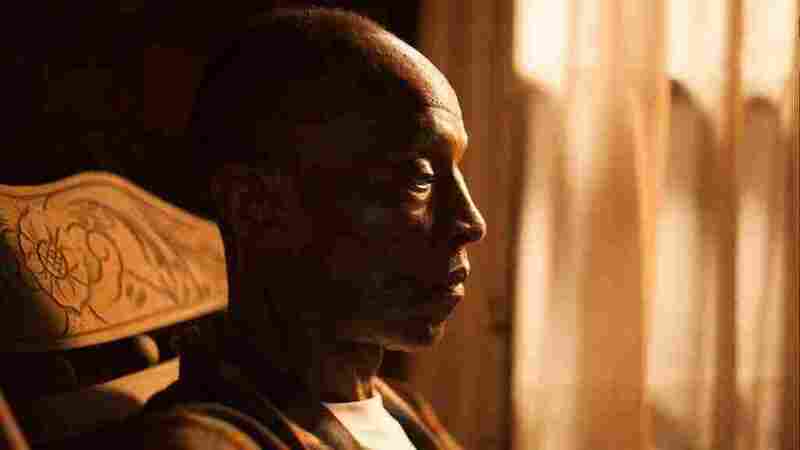 Academy-Award-Nominated Live-Action Short Films, Reviewed This year's nominees include a sobering and deeply personal drama about the impact of an infamous lynching and a light farce that probes the divide between psychiatrist and patient. L.B. Williams plays Mose Wright, the uncle of Emmett Till, in the Oscar-nominated short film My Nephew Emmett. As is often the case, this year's crop of Academy Award-nominated live action shorts — several of them made as newbie filmmakers' calling cards — make up in earnest humanity for what they lack in technical sophistication. One way or another, all of this year's nominees turn on themes of terror — that's if you count the lone comedy, which speaks to the fear, fantasy, or wishful thought that psychiatrists may be crazier than their patients. Here they are, ranked from best ... to best-intentioned. The most accomplished and beautiful of the year's nominees, this NYU pre-thesis film by Kevin Wilson Jr. was inspired by real-life videotaped testimony from the uncle of Emmett Till. (Till was lynched in Mississippi in 1955, while visiting from Chicago, after a local white woman complained that he had wolf-whistled her.) The film quietly imagines what it felt like to be Till's uncle Mose (played by a dignified L.B. Williams) in the nocturnal hours between hearing of Emmett's alleged offense and the retribution he fears will follow. Shot mostly in close-up and without sensationalism, My Nephew Emmett movingly captures the old man's mounting dread and sense of powerlessness as he waits out the night in silence until racist thugs arrive. We know how it ended, but Wilson's point is that when racism and inequality are baked into everyday life, their victims are routinely forced to go about expecting the worst. A heavyset and heavily armed student barges into the office of an Atlanta, Georgia elementary school. Faced with the infinite compassion and good sense of the school secretary, the would-be shooter collapses into inept panic while he and the administrator discuss next steps with a police responder over the phone. Based on an actual 911 call placed during an attempted school shooting, Reed Van Dyk's drama hovers adroitly between farce and horror without losing our empathy for both parties to the bizarre exchange. or our sense that shooters badly need help too. Tara Riggs is excellent as the African-American secretary, cool as a cucumber and humane to the film's last, terrifying moment. In this enjoyably punch-drunk farce out of Australia, a temporary secretary arrives for work at the office of a psychiatrist. The man she meets may be the psychiatrist or he may be a patient — but he's definitely a stuffed shirt. When someone else claiming to be the real shrink shows up for work, a diagnostic face-off between the two escalates hilariously into rising hysteria as they duke it out in a doomed struggle to remain professional under duress. At issue is the ubiquity of delusion and self-regard in the helping biz, and director Derin Seale, with splendidly zany assistance from actors Josh Lawson and Damon Herriman, ups the ante with precise control over the uncontrollable. Based on a real-life 2015 attack in which Kenyan Muslim commuters rose up to protect their minority-Christian fellow travelers from a savage attack by terrorists, this inspiring German-Kenyan co-production focuses less on the inevitable carnage than on the crucible of anxiety, mistrust, anger and pain that festers between the two communities, their daily antagonism exacerbated by fundamentalist forces. Director Katja Benrath ably scales down the conflict to an evolving encounter on the bus between a young Christian widow and a Muslim teacher, both with ample reason to hate, both with enough humanity to rise above their private suffering. Weakened by the axe it so loudly grinds, this conventional short film turns on a little girl growing up deaf in a well-heeled but neglectful British family with parents who resent the efforts of a skilled young therapist to introduce her to communication skills that will ease her passage into the hearing world. Though smoothly directed by actor Chris Overton from a capable script by Rachel Shenton, the film rushes to judgment on the child's careerist (read, overwhelmed) mother, builds in a plot twist to further demonize the child's parents, then pushes relentlessly ahead to its conclusion. The Silent Child plays fine as a PSA for sign language; as drama, it's loaded dice. An earlier version of this review contained an initial mention of the director Kevin Wilson Jr. that mistakenly credited him as Kevin Williams Jr.